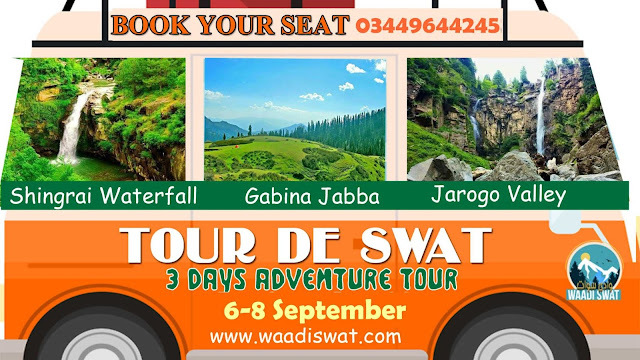 Valley Swat is a unique, beautiful and glittering jewel created by Almighty that is an exact replica of the glorious Alps in Switzerland. Like the Alps several mighty and high mountain ranges surround this expansive and enthralling valley. 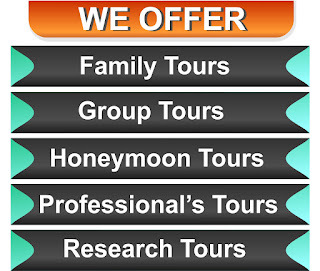 It is certainly a paradise for nature lovers where they can feast their eyes on the diverse bounties of nature ranging from the densely forested mountains to the snaking rivers and torrents. National and international tourists chose Madyan for their stay as all other beautiful sites and valleys can be easily accessed from this central valley. The innumerable hill resorts in the valley also include Madyan and the green valleys of Chail and Bashigram, which are situated towards the east of Madyan. 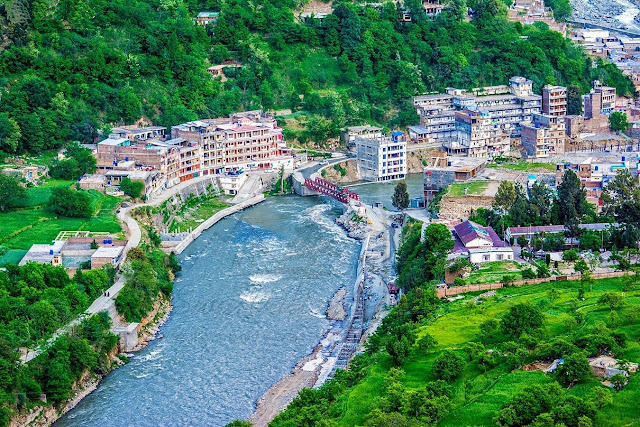 The valley of Madyan is situated about 56 kilometers in the north of Mingawara (Mingora) city. 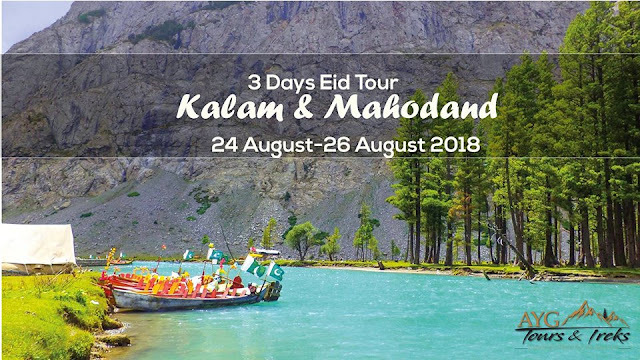 It lies on the main road that leads to Behrain, Kalam and other beautiful valleys of Swat. The main road is in a dilapidated condition that manifests the inefficiency of highway authorities. The slightly wide valley of Madyan is different in comparison to other valleys in the sense that almost every type of modern facility and amenity is available here i.e. internet, cellular networks, cable and satellite TV, hotels, restaurants and other basic necessities of life in its marketplace. Apart from these up to-date facilities, tall mountains covered with green foliage and dotted with small mud and concrete houses from three sides surround the beautiful town of Madyan. The roaring and foaming river Swat looks like a ferocious monster here as the huge mountains on both sides fetter it and restrain its movement compared to the lower plains of Swat where the river has occupied a wide area. 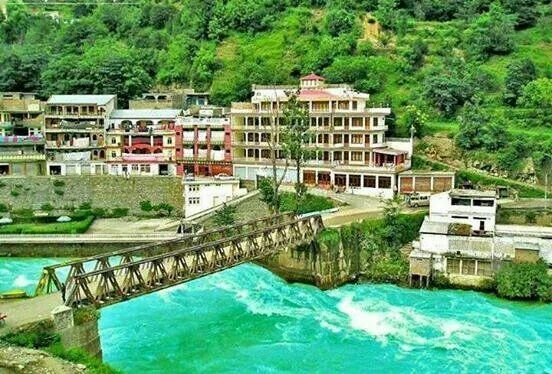 The surrounding valleys especially the lush green valley of Chail, Shanku and Bashigram produce formidable quantity of delicious mushrooms, herbaceous plants, fruits and timber. The main stream that flows from the snow-covered mountains in the east of this valley provide most of the drinking and irrigation water. The river and streams are teeming with Swati fish and the succulent trout, the precious and delicious gifts of nature. Several private and public hatcheries of trout fish are the unique features of Madyan valley. In the cold and clear water of the valley, the trout fish nourishes and flourishes by leaps and bounds and both the private and public sector collects huge revenue. Most of the trees that cover the landscape bear fruits of numerous colours and tastes. Wild fig, berries, persimmon, olive, oak, wild pear and citric fruits proliferate in the valley and can be found everywhere. Apple, plum, apricot, peach and pear orchards are spread all over the valley. Maize, wheat, onions, potatoes, and beans are the major produce of the agriculture land in the valley. The tall, dark green forests of conifer and pine that adored most of the surrounding mountains have fallen prey to the local and intruding timber Mafia. Until and unless the local community does not shed their oblivious sleep, the beautiful Madyan and its adjoining valleys will become fragments of history and will be remembered only in pictures and memories. Several fascinating and beautiful valleys e.g. Chail, Shanku and Bashigram surround the central merchandise valley of Madyan.These small valleys are located towards the eastern end of Madyan in the lush green mountains beside the main stream that flows from the snowy mountains of Bashigram and mingles with River Swat at Madyan.The road that leads to these fabulous valleys are partly constructed and can be plied by any type of vehicle but four wheelers are the most roadworthy vehicles. The road moves side by side with the stream with abundance fruitful vegetation all-round.